As we covered in our eBook not so long ago, there’s a real science behind content marketing. Or at least, there should be. Rather than a case of plucking ideas out of the air, throwing your ideas into WordPress, pressing ‘publish’ and waiting with your fingers crossed to see what sticks, take a more strategic approach. Innovation and creativity certainly have their place but if you want to achieve real success you need to make sure your content is properly targeted. Here’s an exercise familiar to every marketer: clarify your objectives. Define what success looks like in concrete terms and be as specific as possible. Vague objectives will lead to mediocre results. This will help to focus your content ideas to ensure relevancy. What messages do you want to communicate and image do you want to convey? What behaviour do you want to drive? What action do you want customers to take? How will the content support your wider marketing strategy and commercial goals? Your content marketing objectives need to be aligned with your business’ overall commercial goals and support your wider marketing strategy. Common objectives include increasing traffic to your website; driving conversions (sales, sign-ups etc); and creating brand awareness. 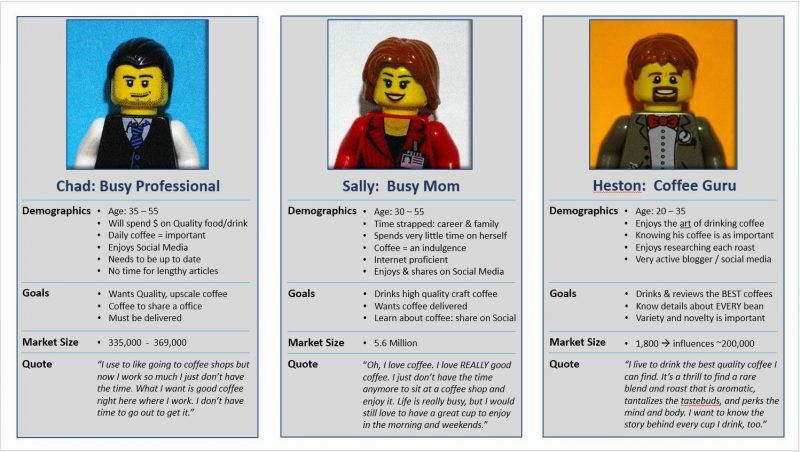 Creating buyer personas, which give a snapshot of your target customers’ purchasing patterns, interests, motivations, and challenges, is an excellent starting point for you to dig a little deeper into your audience and identify the right topics, formats and distribution methods for your content. While keyword-stuffing was long ago consigned to the ghosts of SEO past, keyword research is still a vital to inform your content strategy. How can you create relevant content for your audience without an insight into what they’re searching for? Volume is important, but the focus should be on quality as well as quantity: not ‘how many?’, but ‘how many of the right kind?’. This reiterates the importance of point 2, as effective keyword research requires an understanding of searchers’ intent. Think about what people search for at different stages of the buying cycle. At the start of their searches, potential customers are likely to search for problem-based keywords, eg: ‘How to dry out a smartphone’. Further into the buying cycle, they tend to type in solution-based keywords, eg ‘waterproof smartphone cases’, while branded keywords tend to be used at the decision stage: ‘Samsung Smartphone preserver case review’. Get into the mindset of a customer, who is more likely to use natural, casual language than industry jargon or the terms you use to refer to your business. Once you have assembled lists of key terms and questions, use Google AdWords Keyword Planner Tool and Google Trends to quantify search volume and which of these should be the focus of your efforts. Ideally you’re looking for the golden ratio of low competition and high volume. Having identified the most relevant keywords for your content, you need to use them strategically to help you rank when target audience are searching, so that your audience can find you. This last point – meta descriptions – is perhaps the most important. Although it has no direct SEO influence, this can be a make-or-break deciding factor in a user’s decision about whether your content is relevant to their search query and worth checking out. Imagine you’re creating an advertisement when creating your meta title and meta description, after all, you want to tempt searchers to click on your listing in the search results. They should include the keywords you’re targeting for that page, but in an appropriate descriptive and interesting manner. People can often forget that a content strategy is a process that needs ongoing refinement and not simply an activity. how your content is developing your traffic (New Users/New Sessions). how well your ‘similar content’ lists or CTAs are working (by analysing bounce rate). how well your content is performing against specific goals (Goal Conversions/Goal Conversion Rate). how your content is performing across various platforms (Attribution Modelling). whether you’re sucessfully reaching your target market (Demographics tracking allows you to see a breakdown of visitors to your site by gender and age group and interest categories). For more info, see the blog Analytics and content marketing – what to look for and where. 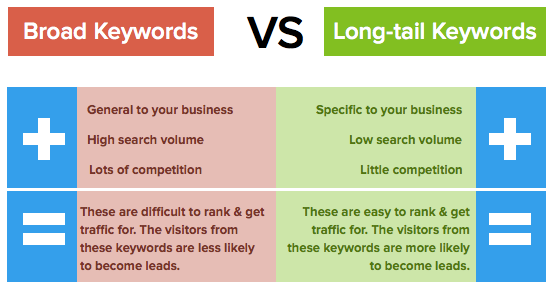 What are your visitors searching for when they’re on your site? 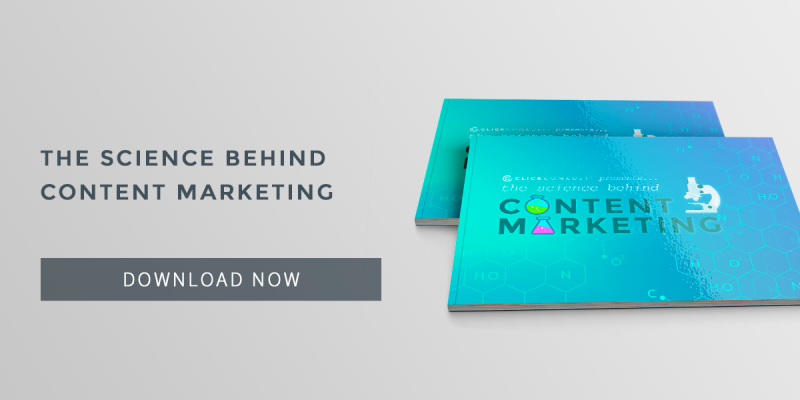 Put some chemistry into your content strategy – download our eBook The Science Behind Content Marketing, or request a free content marketing analysis from Click Consult.